Anne Salisbury, Steven Halpern and Greg Meyerhoff share a synchronicity! We have a story about synchronicities to share with you. 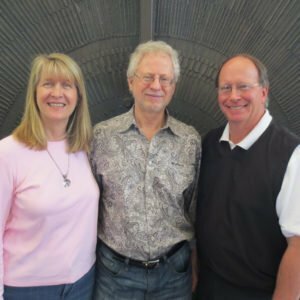 In June 2014, we were hoping to meet and get to know Steven Halpern at the ISSSEEM (International Society for the Study of Subtle Energies and Energy Medicine) conference in Kansas City, Missouri. We thought it would be fun to get to know the musician behind the music that we enjoyed so much. We originally thought we could meet him at his seminar. The problem was that we were scheduled to present a seminar at the same time. Steven was giving a talk on healing music for body, mind and spirit. We were giving a channeled “Conversation with All That Is.” So, our new plan was to locate him somehow between events. 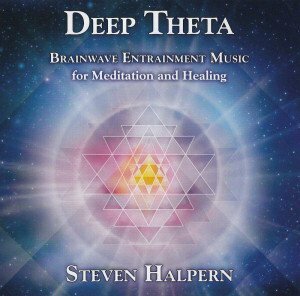 We wanted to talk with Steven Halpern because we have enjoyed his music in our meditations and for relaxation. He is the Grammy nominated recording artist who, in 1977, was christened “Dr. Sound” by Norm Shealy, MD. He is considered to be a “Father of Musicology.” In the early 1970s, Steven’s landmark research demonstrated that intentionally composed music could have much greater relaxation effects than could classical music. Steven is a pioneer in sound healing. He composes music that supports healing and the well being of the body, mind and spirit. He uses self-hypnosis and subliminal persuasion to release stress. He has appeared in the New York Times, on 48 Hours (CBS-TV) and in countless media interviews. He composed the Spectrum Suite (1975), which is considered to be one of the first New Age music albums, as well as authored the bestselling book, Sound Health: The Music and Sounds that Make us Whole (Harper & Row, 1985). The way we met is the fascinating part of the story. As a part of the conference, each of us received a discount coupon to use at the Unity Village bookstore. For a couple of days, we had looked at the books, CDs and other items to determine what we wanted to buy with our coupons. We were also selling our own books there, so we would periodically check-in on our supply situation. On one break, we headed to the bookstore determined to make a decision and a purchase with our coupon. Anne quickly picked up the book she had had her eyes on and I (Greg) headed to Steven Halpern’s CD’s. Since I, Greg, teach regular classes on Energy Tools (how to manage stress and stay focused), I always need music to use with my meditations. Steven’s music was some of the initial metaphysical music that I had listened to in the 80’s. I find it powerfully relaxing and excellent for accessing our intuition. Actually, when Steven and I talked later about how magically relaxing his music was, he mentioned that, back in the early days, the FDA made him remove the term “relaxation” from his jacket covers because it was not a claim you could make about music. It cost him a lot of money and time to redo of all his covers to remove the term, “relaxation.” We have come a long way since the late 70s! I (Greg) was wondering two things about our CD purchase. “Which one would be good for my meditation class?” And, “What music would be best for my personal meditations?” I wanted to bring more spiritual light into my system. So, I decided to muscle test to discover what was the best CD to buy based on my desires. Normally, I would use my pendulum to answer these types of questions. I’ve been doing that for myself and my clients for 25 years. But I had left my pendulum in our hotel room. So, I connected my thumb and fore fingers together to form two circles. I then interconnected them. If I could not break the bond between the fingers, then that was the answer to buy the one on my mind. If the fingers separated, then that was the one to leave behind. I went through all of the Steven’s CD’s and narrowed it down to two. I then picked the CD that was best, again using muscle testing. I had made my selection. He asked us how we planned to use it, and I replied, “I’m looking for music for a meditation that can help me bring in more spiritual healing light.” Well, guess what. The CD I had picked through muscle testing was the same one he quickly picked for me. Anne and I said, “Thank you,” and he walked out. What we think and focus upon is important. In every moment, we are creating with our thoughts. What are your desires? What do you truly want? Are you putting your attention there? You can create more and more rewarding synchronicities for yourself. You can proceed along your path with more ease. So, go ahead and let it be fun! And email us what you experience!